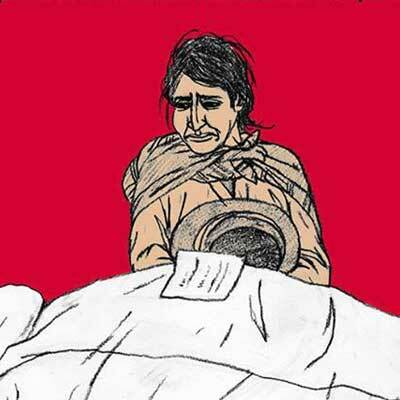 Visiting author and illustrator Jesús Cossio will discuss how he has produced graphic novels and comics to represent the violence endured during Peru’s civil war (1980-2000). As one of the leading influential authors of documentary and journalistic comic books, Jesús employs comics to document and depict human rights violations committed by state and insurgent forces during the country’s era of violence. To explain how and why he does this, he will share several of his illustrations and discuss the process of making them and how he has used them in working with high school students to help the community’s healing process in the wake of trauma. Cossio is a Peruvian illustrator, author, and editor of comic books and graphic novels. He has published numerous books and zines, including El cerdo volador, Pánico, Juventud moderna, and Ciudades convertidas en selvas with publishers in Peru and other South American countries. In 2003, Cossio was awarded a Rockfeller Foundation Fellowship in the Humanities along with two other authors (Luis Rossell and Alfredo Villar) and he has been an invited panelist at important Latin American comic book festivals including Viñetas con altura 2009 (Bolivia), Viñetas sueltas 2009 and 2010 (Argentina) and Entreviñetas 2012 (Colombia). He is considered by critics as one of the most influential authors of documentary and journalistic comic books in Latin America. This workshop is provided at no cost to K-12 educators, including in-service and pre-service teachers, educational aides, administrators, and librarians. Registration is required. Certificates of professional development will be given and light refreshments will be provided.